Thankfully, working and living in the cosmopolitan city of Singapore is far more enjoyable than moving to any other country in the world. Cost of living: A lot of expats take help from relocation consultants in Singapore to find accommodation. Rent for condominiums varies according to the location and the newness of the building. Be sure to explain your home requirements and budget limitations to the consultants to help you find the most suitable shelter. Transportation and Food: The government of Singapore highly encourages the use of public transport to reduce pollution and congestion on the roads. Public transport in Singapore has one of the best networks and is highly reasonable. Even taxis charges are quite inexpensive as unlike in most other countries. Owing private cars in Singapore for expats is not recommended as heavy taxes are levied. You can always hire car rental services with reasonable fee if you require a transport medium of your own. Healthcare: As with transportation costs, healthcare is not expensive either in Singapore. As a health-conscious country Singaporeans take aside a sum each month for medical consultation. Health cover is given by most employers and a lot of people also have personal health insurance. Consultation charge of a qualified doctor in Singapore is reasonable and the hospitals here are quite clean and pleasant. Education: Singapore offers world-class education opportunities for you and/or your children. There are both local and international schools where English is also a medium of instruction. Schools are less stressful for children here and also there are a very few reportings of violence, abduction or other such crimes in school. 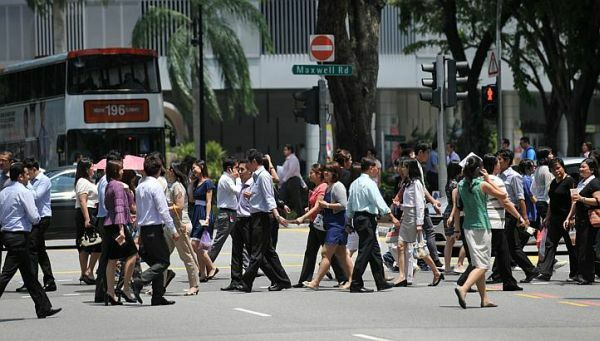 Lifestyle Cost: A lot of expats will tell you that Singapore is far better in terms of safety as compared to other Asian as well as European countries. That’s because the city has stringent rules and regulations on drugs and other illegal activities. This enhances the feeling of “being secured” for the Singaporeans and even more for the expats. Costs of living can be kept in check by cooking food in the home oftener and eating out only occasionally. Similarly, public transport can be used for all daily commuting and private cars can be used only for weekend outings. Shopping in Singapore again depends on the kind of stuff you buy. Branded items are naturally high-priced. But you can also find unbranded quality stuff for cheaper rates. All-in-all, life as an expat in Singapore is an enjoyable and memorable experience for a majority of people. In fact, an increasing number of expats are choosing to become permanent citizens of Singapore given its wonderful lifestyle amenities. Chances are if you are moving to Singapore to work and live, you’ll feel at home away from home!